I adore Youtube, it’s a safe home for free speech, education and live cat streams. They’ve enabled anyone with a video camera to be discovered on merit alone and new young stars to have a viable career. 2016 marks 10 years since Google acquired YouTube. It seems fitting that the traditional gift for a decade of dedication is tin because Google hasn’t made much more than that in revenue. After 10 years, YouTube is still not profitable. That’s crazy. When YouTube stars first emerged it was incredibly exciting to think anyone off the street could make money and possibly even a career from the ‘broadcast yourself’ mantra. For a while, it seemed like the dream, but now YouTube stars are being lured to other platforms that invest in their talent and provide better advertising formats or sponsorship deals. Creators are jumping ship because YouTube doesn’t enable enough worldwide fill. A video star may get 1,000,000 views from Egypt, but they won’t make any money. Their audience is either geographical or coincidental and nothing is gained from the view. There’s no impetus to scale and the CPMs advertisers pay is too low. When creators do hit that sweet spot and make money from their videos, YouTube takes a heavy cut – 45/55 split to be precise. That’s a hefty sum to handover. We’ve established it’s crazy that YouTube isn’t profitable. But, why? We’ve narrowed it down to these 6 deadly sins. It’s not like they haven’t tried to be a central hub for premium content – they just haven’t tried hard enough. For a while, Channel 4 had all its content on Youtube, but they removed it because they could earn a lot more on their own 4oD service. The login wall on 4oD gives them valuable first-party data and their existing sales team can sell directly without YouTube taking a cut. This is where Google’s walled garden approach really started, it’s not a fair model for any creator and many won’t tolerate it anymore. 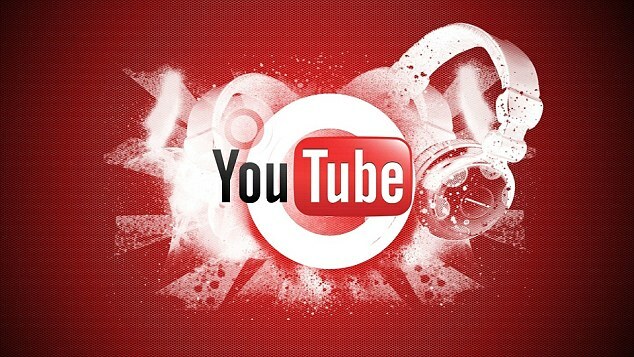 YouTube shut off access to other DSPs like Tubemogul last year. For creators, Youtube is incredibly easy and open, for advertisers it’s really awkward. Buying a specific video, using your own targeting data, and your own viewability and verification vendors are just not going to happen. This is a historical problem. When Google first bought Youtube they had a hard time getting their salespeople to actually push it. They were used to the easy money machine that was search and display. It wasn’t until they made it 20% of the sales team’s bonus that they actually got many sales at all. A few years ago when it was hard to sell your own video ad space. Mid-sized publishers used to upload all their videos such as gadget reviews on Youtube, and then let YouTube take care of monetization. But as video SSPs like SpotX and StickyAds made the process of selling your own inventory easy, they’ve all gone back to using other hosting platforms like Brightcove or Ooyala. And YouTube just watched them go. Whilst the revenue split isn’t an ideal model, YouTube does a fantastic job of nurturing creators by providing free studio time. But a massive opportunity has been squandered. What wasn’t grasped was the potential to connect brands to creators, instead they’ve just let them go to another MCN (multi-channel network such as Maker Studios or Fullscreen). Love or loathe them, everyone knows how much vitriol YouTube comments contain. Automatically filtering content is incredibly tough, especially with so many cultures and languages. So, without the ability to whitelist, the risks to brand reputation are still there. Whilst recent changes have been made to remove monetization from videos that aren’t ‘advertiser friendly’ – it’s far from perfect. Not a destination – if YouTube’s ‘home page’’ was a holiday destination, we’d be asking for travel compensation. As an average user, your entry point to Youtube.com is via a link someone else has shared. The only reason to go there is to see the recommended videos and most people just watch embeds in other sites. It’s not pretty, it’s not particularly well thought-out, it’s a bumpy ride. But, Facebook looked at the numbers of people clicking out to Youtube and decided they wanted in. Hence, launching Facebook video serendipitously with no content protection systems. This enabled people to simply upload stolen clips from YouTube and get massive views, all inside Facebook’s wall. The big one for me. YouTube engineers have created the best pre-roll format ever made. TrueView is loved by advertisers and tolerated by users. It’s led to innovative creative that engages a user within 5 seconds. YouTube do small tests all the time with things like brand recall surveys and implement minor changes. But rarely do they ever see full production. YouTube is pushing their subscription service hard and with a lack of ad revenue, it’s easy to see why. However, they’ve landed themselves on a double-edged sword. If the subscription model is too successful, it will naturally cannibalize the ad business – disproportionately so. Those who can afford a subscription are generally those which advertisers will pay more to reach. Herein we reach the zeitgeist. Facebook et al are throwing tons of money at live stream content. YouTube isn’t a destination site that an average user spends tons of time loitering on, like Facebook so the use case is different. YouTube views are rather more like appointments, rather than a serendipitous opportunity in your news feed. Still, neither YouTube nor Facebook has a viable way to monetize live stream, interrupting the stream for a 30-second ad is not the solution. The time to make the bold innovation in ad formats to suit evolving watching habits is now. YouTube may currently be the king of short form, but if they don’t start shifting the goalposts, it won’t take another 10 years before a blue logo’d upstart takes over. Whether it’s building a better destination for users, innovating on ad formats or forging partnerships with those using YouTube content, something has got to give or the 20 year anniversary will mark nothing but another penniless decade. Can’t believe it’s been 10 years of YouTube? Neither can we, but luckily, Coull’s own Scott Mackay is never too far away to remind us what user content looked like back in 2006. And while this video is still fun 10 years later, Scott is yet to receive his millions – will future Scott be any better off? In the advertising space, the ever-studious tech behemoth Google has a long history of calculated moves that make marked contributions to its bottom line. Each strategic tweak to its advertising products normally sees a groundswell of discussion followed by an almost immediate and widespread take-up by marketers. Adwords has seen limited time offers, bulk uploads for multi-product sales, call-out extensions and call tracking all welcomed by media professionals. Elsewhere, Google has kept its DoubleClick product ticking over with the recent additions of viewability metrics, radius targets for location extensions, reporting for remarketing lists and support for Baidu accounts in DoubleClick Search. While such features have been successful with marketers, the launch of YouTube’s subscription service has stirred up some scepticism. There are benefits to the consumer, for instance it is easy to see the adblock generation paying $10 a month to purge pre-roll advertisements from their viewing experience. For marketers, though, the devil is in the detail. Publishers are being incentivised, or coerced depending on your views, into supplying their inventory for the YouTube subscription model whether they like it or not. 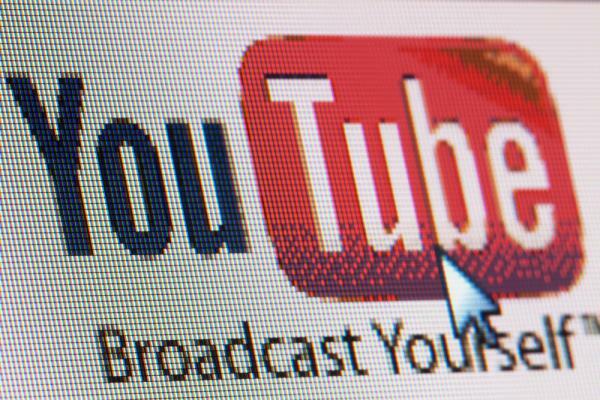 In a letter to YouTube Partners, Google gave video creators a decision to make – either they allow their content on to the subscription service or they will no longer be able to make revenue from YouTube’s regular advertising model. A bigger cut for publishers? Google’s ultimatum might not sit well with creators who see little to be gained from the ruthless terms. Only a small slice of YouTube’s subscription fee is distributed to the publishers and even that is dependant on the amount of time people spend watching their channels. It is unlikely to be the catalyst for a mass YouTube exodus, yet it is possible that some aggrieved creators could abandon the video-sharing platform. Publishers were already feeling the squeeze earlier this year when YouTube clamped down on sponsorship. In February the platform put a stop to “graphical title cards” by amending its ad policies. The only way a similar ad package might be permitted is if it is done through a full Google media buyout on the Partner content by the sponsor. In addition, advertiser-created and supplied pre-rolls that are burned into a publisher’s content, or other commercial breaks where YouTube offers a comparable ad format, have been banned. YouTube has said that it will stop monetization of videos that feature this outlawed content. Last year YouTube owned a 20% share of digital video ads in the US alone and attracted $1.13 billion of video ad revenue, according to eMarketer figures. The last thing Google needs is for a misstep that sees some of this revenue and ad share divvied up among competitor platforms, especially when the site is reportedly unable to turn a profit. Unless the search giant backtracks on the terms of the YouTube subscription service, it could face a publisher revolt. Aside from YouTube, there is a rich array of alternatives. One of the most popular is DailyMotion that boasts 128 million monthly uniques as of 2014 and counts Showtime, Buzzfeed and Mashable among its publishers. For the TV series content creator there is Blip, which was founded at a similar time to YouTube and on the other end of the spectrum business-centric Wistia assists brands in publishing video on their existing websites. All four are great options, but it is new platform Vessel that is making the most noise in 2015. Vessel, launched in March by former Hulu execs Jason Kilar and Richard Tom, is taking aim at YouTube as it looks to capitalise on those exiting the video-sharing network. Dubbed The Fremont Project in its early days, Vessel features a $2.99 subscription option that offers ad-free video viewing and 72-hour exclusive access for viewers. There is an ad-supported tier for users who are unwilling to pay for a subscription. Publishers are being drawn in with the promise of a 70/30 split on ad revenue for content that premieres as part of a 72-hour exclusivity window on Vessel. They will receive that deal for however long the content remains on the platform. Content owners will also receive 60% of the subscription fees that come from the early access period, which runs Tuesday to Thursday. Vessel puts publisher revenue earnings in the region of $50 per 1,000 views, a figure that is said to be 20 times higher than free web distribution. Vessel is still in its embryonic stage and if it is to become a successful and viable alternative two things have to happen. Firstly, its user base needs to expand and this will come about through the site’s USP of pushing out exclusive content. The big question here is, will users want to pay for this? The answer is an obvious “yes”. You only have to look as far as television to see an example of consumers paying a premium to get access to their favorite series first. When the number of users reaches critical mass, then Vessel will be an attractive proposition for more content creators and in turn advertisers. It is at this point we will be able to see if the platform can really take it to YouTube. Check out the Coull Quickie October edition for the latest news in online video advertising. This month Elise brings you news on Tumblr’s new video player and YouTube’s rumoured paid subscription service. We wish the banner ad a somewhat happy birthday and celebrate a global surge in online video advertising.